During the Renaissance era, Florence was considered the center of the artistic world. It was a time of rebirth and Enlightenment, and art was experiencing a dramatic change, due to new techniques introduced by Tuscan artists and the city’s booming commerce and talented trade guilds. 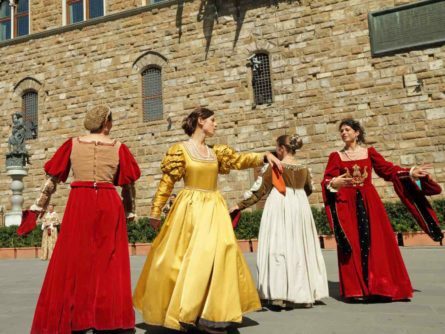 Our Renaissance Life for Families walk offers the ideal opportunity for children (and their lucky parents) to learn more about these innovative and exciting artistic changes that were taking place during this unique period of Florentine history. This Florence kids tour lays the perfect foundation to better understand further art explorations in town.